By Jacob Abbott. Part four of an eight part series on the history of America from its earliest times through to the age of George Washington, told by master storyteller Jacob Abbott. 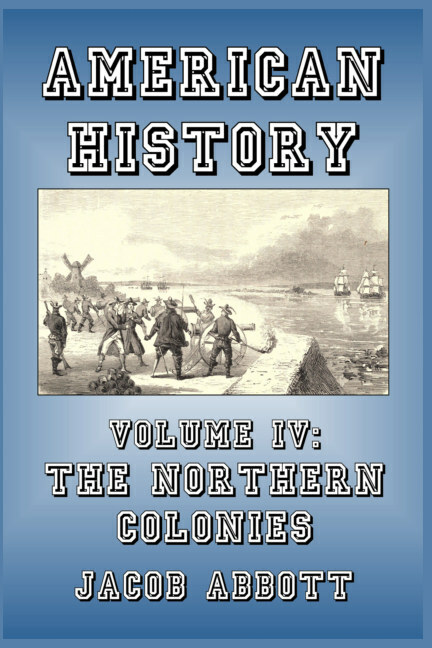 This volume starts with the 1602 expedition by Bartholomew Gosnold which created the first settlement in what became Massachusetts. Facing immense difficulties, the project struggled for many years before the advent of the religious refugees known as the Puritans, who settled in the Massachusetts Bay Colony and other areas. The importance of this migration is dwelt on at length by Abbott, who provides many hidden but fascinating details of the trials and tribulations of this highly celebrated group of settlers. 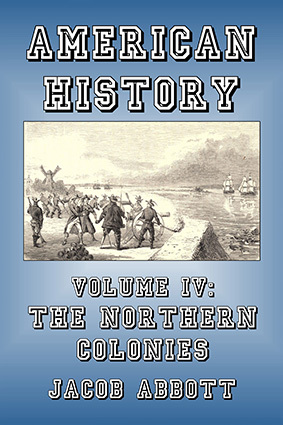 The voyage of the Mayflower, the early interactions with the Indians, and the prospering of the colony are recounted in vivid detail.